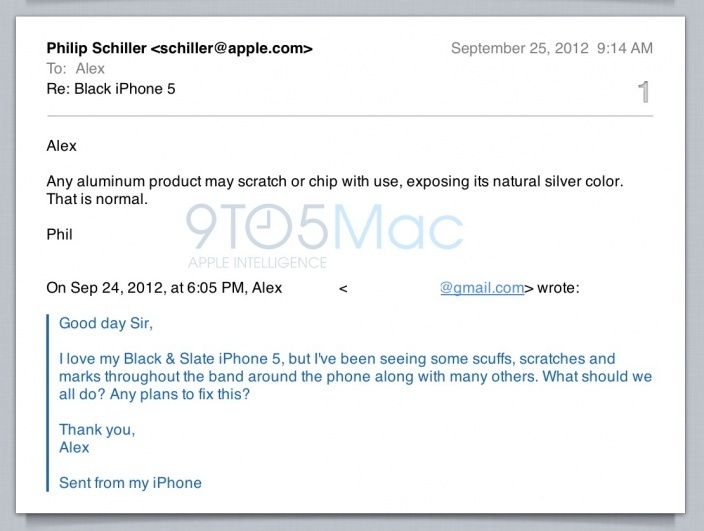 Internet's Best Secrets: Apple Answers iPhone 5 Scratch Issues: "Aluminum scracthes. 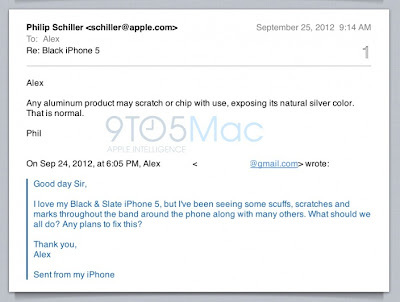 It's Normal"
Apple Answers iPhone 5 Scratch Issues: "Aluminum scracthes. 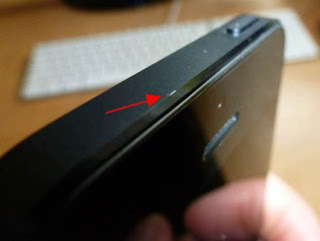 It's Normal"
Several iPhone 5 buyers have been surprised by scratches and scuffs on their iPhones, even after a single day of "non-abusive" use (some even claim their iPhones came scratched in their factory sealed boxes). A problem that is highly evident on the black iPhone, as every scratch immediately reveals the underlying silver aluminum. One such user wrote Apple about the issue, and Phil Schiller answered in a very concise "Steve Jobs"-like way. The answer simply says: "Any aluminum product may scratch or chip with use, exposing its natural silver color. That is normal." So... Apple's position on the matter is that, just like in the previous models: glass shatters, aluminum scratches... the rain is wet, and so on. We all know there are no indestructible materials, and that eventually everything shows signs of wear and tear; but the question here is if the new iPhone 5 is particularly prone to lose it's black coating (on the white iPhone I guess it won't be as noticeable - though it also might come with its own issues, like light leakage, as some have reported). I guess we'll know just how widespread this issue really is as soon as millions of users start using it, for a couple of days, for a few weeks, months, etc. Apple has been forced before to take action even when the issue wasn't really their fault (remember the antenna gate and the free bumpers/cases?) Might a similar scratch-gate issue be in the brewing? We'll find out soon enough. As for you: do you think it's sensible one should always use a protective cover/case in a mobile device? Or do you expect it to be resilient enough to be able to withstand the intended use without "ugly" signs of use?